The Redemptorists were honored today to welcome the newly appointed ninth archbishop of Philadelphia, Most Rev. 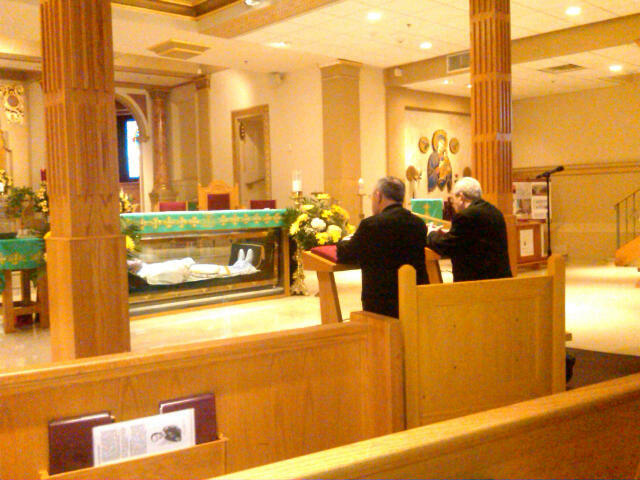 Charles Chaput, OFM Cap., to the St. John Neumann Shrine at St. Peter the Apostle Church. St. John Neumann, who died in 1860, was the fourth bishop of Philadelphia, and the first male American saint. We offer our prayerful best wishes to Archbishop Chaput and his predecessor, Cardinal Justin Rigali, and to the archdiocese during this time of transition.